Community members of all ages create designs for sports facilities, gardens, and lighting in a poorly maintained park in the Villa El Salvador neighborhood. Lima is one of South America’s most populous cities. Its densely packed metropolitan area is home to a complex mix of racial and ethnic groups, including Mestizos (mixed Amerindian and European) and European Peruvians. The quality of living for residents varies widely throughout the city. Although some areas have good services and high-quality public spaces, many neighborhoods, particularly on the outskirts of the city, lack basic urban services. Fundación Avina is a Latin American foundation committed to fostering sustainable development through a variety of innovative social programs. They identified the need to revitalize a public park in Lima’s Villa El Salvador neighborhood, a huge urban zone that was lacking in accessible, well-maintained public space. UN-Habitat joined forces with Avina to rebuild this almost two-acre recreational park, which, despite being poorly maintained, provided much-needed space for sports, games, and social activities. The project kicked off in August 2014 with a well-attended participatory design workshop. Members of the community came together to share their vision for the park, using Minecraft as a tool to bring their ideas to life. In 2016, new partners joined the project. A local university, Universidad Científica del Sur, worked to develop topographical maps, support the technical design, and design sitting areas for the park. GLS, through its Corporate Social Responsibility department, will provide a water treatment plant to guarantee the maintenance of green areas. Since the completion of the Villa El Salvador project, public space transformation has been embraced citywide. In 2016, UN-Habitat funded a micro-intervention, or small project, initiative developed by Lima Cómo Vamos through the Latin American Fundación Avina network. Ocupa tu Calle—“occupy your street” in Spanish—has completed 21 small projects since its inception, benefitting more than 380,000 people across Lima. The types of projects vary and include parklets, marketplaces, gardens, playgrounds, pedestrianization projects, playgrounds, and cultural spaces. The key to success has been the engagement of local stakeholders and residents, which has created a sense of belonging and shared ownership among the community. 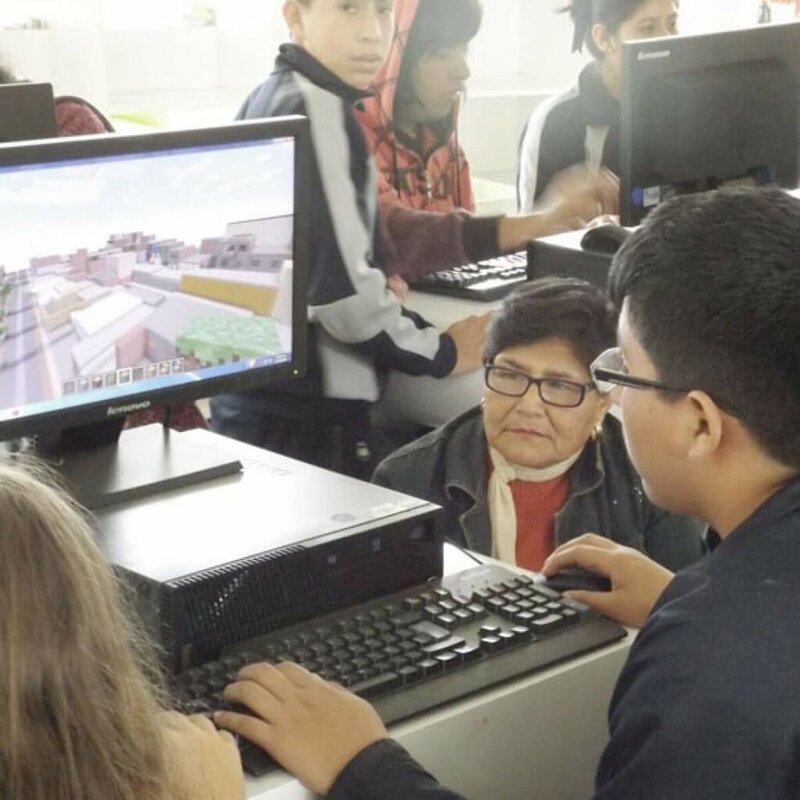 One of the many success stories is Mama Lucinda Park in Villa El Salvador, named in honor of 78-year-old resident Lucinda Terrazas Luján, who has campaigned for years for neighborhood improvements. Residents designed the park using the Block by Block participatory design process. The park will feature playgrounds, sports facilities, hiking trails, meeting places for families, and sustainable irrigation. In 2016, UN-Habitat and Fundación Avina arranged for Lucinda to travel to Quito, Ecuador, to present her community engagement work at Habitat III. It was the first time she’d ever left Peru. See Lucinda Terrazas from Fundación Avina present at the Habitat III conference in Quito. Watch a video detailing the Ocupa tu Calle project. See the first small project in the Ocupa tu Calle initiative.